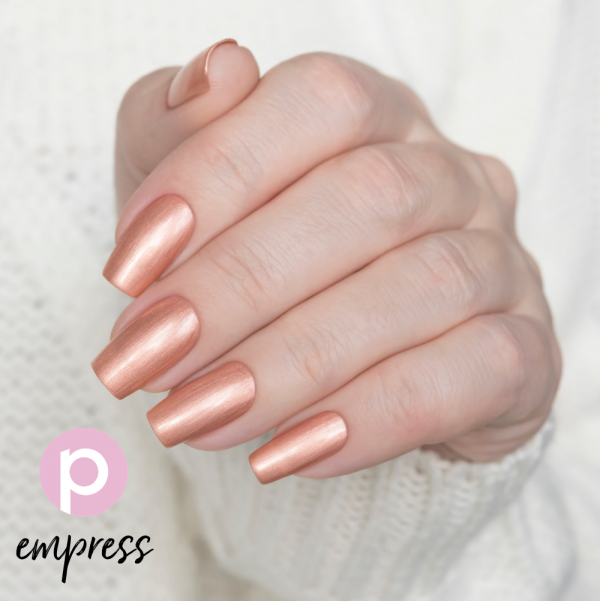 Nail polish Empress is a copper chrome nail color. Clean nails before use. Apply base coat. Shake nail polish Empress and apply two (2) coats for complete coverage. Finally apply Looking Glass Top Coat for a super gloss finish. This copper nail polish changes in different lighting from matte satin/silk look to a pastel chrome finish.